Those who are new to blogging always ask about the difference between a free blogging platform, and one that you pay for. It’s an important question to consider in the beginning, because transitioning from one platform to another is not easy. It can be expensive, complicated and there’s a danger that you’ll lose all of your content, as well as the search engine credibility that you’ve earned with Google. For these reasons, it’s best to take your time and make a decision that you can live with in the long run. 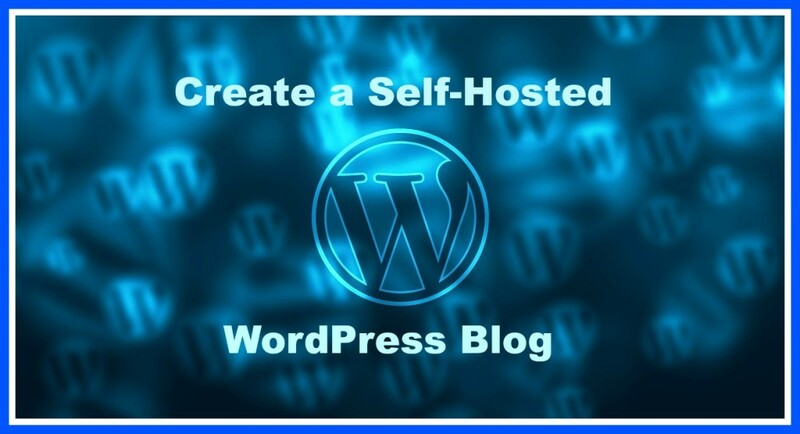 Conventional wisdom says that you should create a self-hosted WordPress blog, because you have much more control over the appearance and performance of your site, and you’ll actually own it rather than just borrowing it. If you just want an online journal to share with friends and family, then a free site is fine. On the other hand, if you’re hoping to attract a bigger audience, spend a few bucks and buy a domain, and then self-host; it’s really not that expensive. I’m not going to rehash those arguments in this particular post. I’ll assume that you’re already considering self-hosting and you’re just looking for some straight-forward information on going that route. And I will also discuss free blogging platforms in a future post. What is a domain name? It’s basically the letters that come after the http:// and before the .com .org .net or whatever suffix you choose (with or without www). Spend some time thinking about it, because it’s something that you’ll have to live with for a long time if you establish a blog. But don’t drive yourself crazy trying to come up with the perfect name. Your content will be what gets you noticed, not your domain name. To purchase a domain name, go to any of the reputable sites that have been around for a while. Be careful, because there are some fly-by-night scams out there that will try to overcharge you. To be safe, GoDaddy is probably the most popular and trustworthy. Once you get on their site, you can search for free to see if the name you want is available. This might take a while, but it’s kind of fun. If the domain you want is available, you should buy it right away before someone else scoops it up (they’re cheap, often as little as $2.99 per year). There are lots of people who buy domains simply for the purpose of reselling them at a higher price. So ideally, what are some factors to consider when selecting a domain name? Try to keep your domain name under 15 characters (that’s without the .com). Shorter is better, and also your Twitter handle can be the same as your domain name. Something catchy and/or recognizable. Don’t make people try to figure it out. Avoid something that’s too close to something else. You might get some “false” traffic, which will result in a high bounce rate. Generally avoid using numbers and special characters. Upper and lower letters won’t make a difference. Make sure it’s representative for your business, brand, or niche. Duration – If it’s your actual name or a business name that you’ve already established, then go long term. Otherwise, it’s up to you, but just know that it’s generally cheaper if you buy for longer terms. 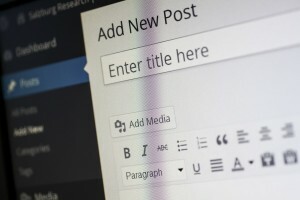 Just as your house needs a place in the physical world, your blog needs a place in the virtual one. Think of your hosting service as your “online home” where you can store and display all your pictures and stories, while your domain name is the little sign in front of your house with your street number on it. For hosting, I’ve been using SiteGround for about a year now, after way too many problems with HostGator. There’s a big company out there called Endurance International Group that owns HostGator, BlueHost, TypePad, and about 50 other brands, all of which are served by the same unreliable servers. Stay away from these guys—they’ve let me down (and many other dissatisfied customers) too many times to count. SiteGround, by contrast, has been great: fast, reliable, and very efficient (even proactive) with their tech support. Once you’ve installed WordPress, using the platform is fairly easy. If you’ve used Microsoft Word, Gmail, and Facebook, you can certainly figure out WordPress in the course of a single afternoon. There are many hosting companies out there and many blogging platforms. If you don’t want to spend a dime on your blog, you should probably go with Blogger, and I’ll show you how to set that up in a future post. However, if you want to go professional right from the beginning, self-hosted with the WordPress platform is the method of choice. Besides being a user-friendly interface, Google just loves WordPress sites, and will reward you in the search results. There is also a third option, which is sort of a hybrid of the other two options where you “rent” a website on their platform. These are sites like Weebly, SquareSpace, or Wix. For a few very specific situations, these can be a viable option. But again, those platforms are a discussion for another day. Hey Dave, sorry you missed my live demo last night. But if you ever want a second pair of eyes to look at your WordPress site, let me know.